There is a saying that words may not express your feelings exactly but eyes can! Large beautiful eyes with thick and lengthy eyelashes is the dream of every woman who wants to look pretty. Most men admire women with attractive eyes as that makes you look even more appealing. Even when you wear minimal makeup, you can cover it up with basic eye makeup which includes an eyeliner and mascara. 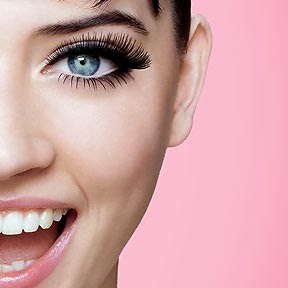 Mascara plays a very important role in making your eyes look big and beautiful. It not only helps to increase the length of your eyelashes but also increases the volume. You need to be careful when choosing your mascara. There are various types of mascaras available in the market like volumizing mascara, lengthening mascara, waterproof mascara, colored mascara etc. Based on your need you can select from the best brand available. 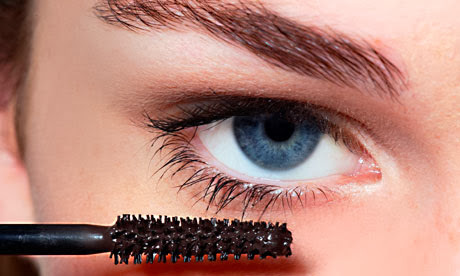 Though it looks easy to use, application of mascara should be done cautiously. If you mess it up, it can make you look ugly. Hence it is necessary to know the facts on how to apply mascara perfectly. Follow these simple steps and it will get you right there! Before you apply mascara, finish you entire makeup which includes applying foundation, blusher, eyeshadow, eyeliner etc. If you are applying an eyeliner, make sure you do that before you put mascara. Mascara has to be the last thing when it comes to makeup. Curl your eyelashes using an eyelash curler. You can skip this step if you don't want to curl your lashes. Also, there are many curling mascaras available in the market to do the needful. Take the applicator of the mascara you want to use and get rid of the excess mascara by rubbing it inside the mascara tube. Mascara should be applied to your upper eyelash first and then the lower one. Start applying it from the inner side of your eye towards the eyelash tips. Make zig zag movement to avoid clumps and also make sure the mascara is even on all the lashes. Once the upper lash application is done, do the same with your lower lashes. Start from inner side of your eye and go downwards till the end of eyelashes. Let it dry. You can apply a single coat or even 2-3 coats depending on the kind of look you are willing to go for. In case of any smudging or clumps, you can use cotton or lash comb to remove it. When you apply the mascara perfectly, you will end up with a clean finished look. Hope you find these tips helpful when applying mascara. Do share your views with us! Very informative post dear...loved it . Lovely tips! Liked reading the post Lavanya! Very helpful tips sweetie! Thanks for sharing!